"A well-tangled web of intrigue and murder." 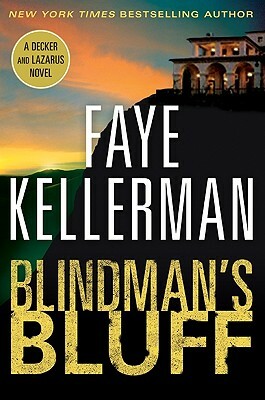 "Kellerman invariably rides high in the bestseller lists...Blindman's Bluff shows why." One of the popular couples in contemporary crime fiction, LAPD homicide detective Peter Decker and his wife Rina Lazarus are back in Blindman's Bluff--and placed in harm's way in the wake of a horrific home invasion and brutal multiple murder. Author Faye Kellerman, whose novels perennially live on the New York Times bestseller list, proves once again that "no one working in the crime genre is better" (Baltimore Sun) with this twisty, surprising shocker.